Reading this quote from A.A. Milne’s The House at Pooh Corner, I can’t help but smile. In just a few short sentences, the author manages to capture both the thrill and satisfaction of finding pleasure in food. Any foodie worth their salt (or should it be honey?) will always have thoughts of their next meal ticking over gently at the back of their mind, and after the enforced fasting that comes with a good night’s sleep, there are few greater pleasures than waking up and deciding what to eat for your very first meal of the day. Breakfast can be a pretty underwhelming meal if you get it wrong. Sugary cereals, feeble tea, soggy white toast and cardboard bars masquerading as the answer to every commuter’s ‘on-the-go’ needs seem to have infiltrated our society. But get it right and breakfast can be a thing of absolute joy, exceeding even Pooh’s expectations in the excitement stakes and setting you up for the best possible day. Thick cut bacon sizzling in a pan, free range eggs with molten orange yolks, crusty bread and salty butter, toasted nuts and seeds drizzled in honey, creamy yoghurt, the freshest fruit, the sweetest juice and a morning spent at the kitchen table, sun streaming through the window and papers strewn across your lap. Oh, and pancakes. I forgot to mention pancakes. In our household, and many others I suspect, the humble pancake has been all but relegated to the annual indulgence of Shrove Tuesday, where so many of the things are consumed you vow never to look at sugar and lemon laced dough in the same way again. I think there’s also a perception that they’re a bit of a pain to make; whisking batter, leaving it to stand, frying and flipping it in batches. . . it’s all a little more time consuming than popping some bread in the toaster and pressing a button. But the minimal effort is absolutely worth it. Pancakes are one of the earliest foods known to mankind – a primitive quick bread combining carbohydrate rich flour with protein rich liquid to create the ultimate fast food – and there’s a reason they’ve stood the test of time. They taste good. From fluffy American hotcakes to French crêpes, Italian crespelle, Russian blini, Indian dhosa and Australian pikelets, every culture has their own version of these lovely little cakes, all of varying size, thickness and flavour. The recipe below is adapted from a Dan Lepard post on The Guardian website – his version features rye flour and dill where mine substitutes buckwheat and coriander, but you can mix and match herbs and flours to suit your tastes and toppings on the day of making. Just make sure you include the oats as they provide a beautiful depth of flavour without making the batter heavy; these pancakes are beautifully light and a world away from the dense, doughy shop-bought versions you can get. 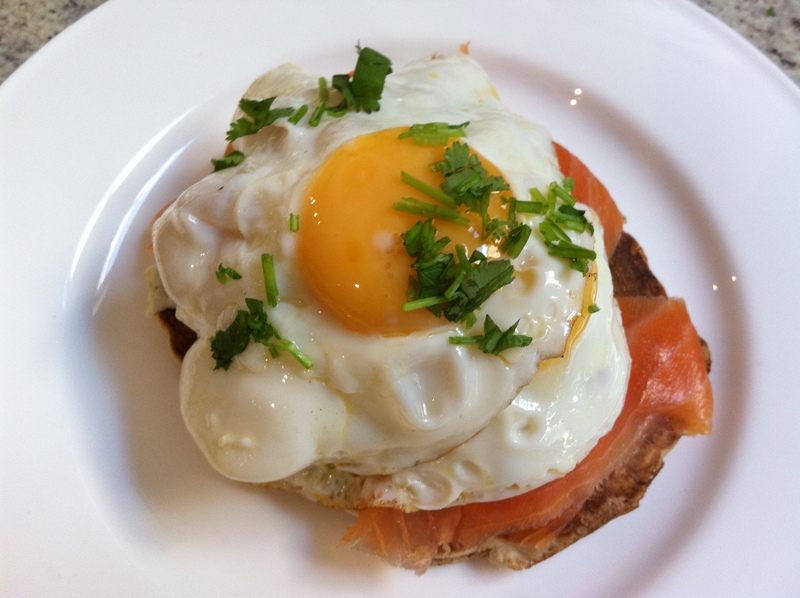 I served mine with coriander and chilli laced guacamole and thin slices of oak-smoked salmon, Carniverous Boyfriend topped it all off with fried eggs, and I can imagine they’d also be delicious with some soft cheese or simply spread with butter. If, like Pooh, you’re off a sweeter disposition and want to add honey, I’d omit the herbs altogether. However you decide to make them, please do try this recipe soon. It’s definitely a breakfast worth getting excited about. Put the oats in a bowl, pour over the boiling water and leave to stand for 30 minutes, until the mixture has cooled down to lukewarm. Stir in the yoghurt and yeast, then mix in the flour and salt. Leave for three to four hours so the yeast can do its thing. I left it overnight which is absolutely fine too; the longer you leave it, the stronger the yeast flavour. When you’re ready to eat, beat the eggs, baking powder and chopped herbs into the batter. Add more water if necessary – keep the mixture thick if you prefer mini scotch/American-style pancakes, or thinner if you like them more like a French-style crêpe or galette. Heat a knob of butter in a frying pan until it sizzles. Drop a spoonful of batter into the pan and allow to spread naturally, checking the batter’s consistency: you want it just to colour on the base when the top is almost set. Cook your pancakes in batches, carefully flipping them over halfway through cooking. Keep the cooked ones warm in a low oven while you make the rest. These pancakes also freeze very well, layered between sheets of kitchen paper and placed in a freezer bag. You are speaking my language re: breakfast. It’s the time of day I most look forward to, even though I eat the same thing every morning without fail. Absolutely sacred! sounds fantastic. great minds think alike, i made a galette for breakfast this morning. so good. 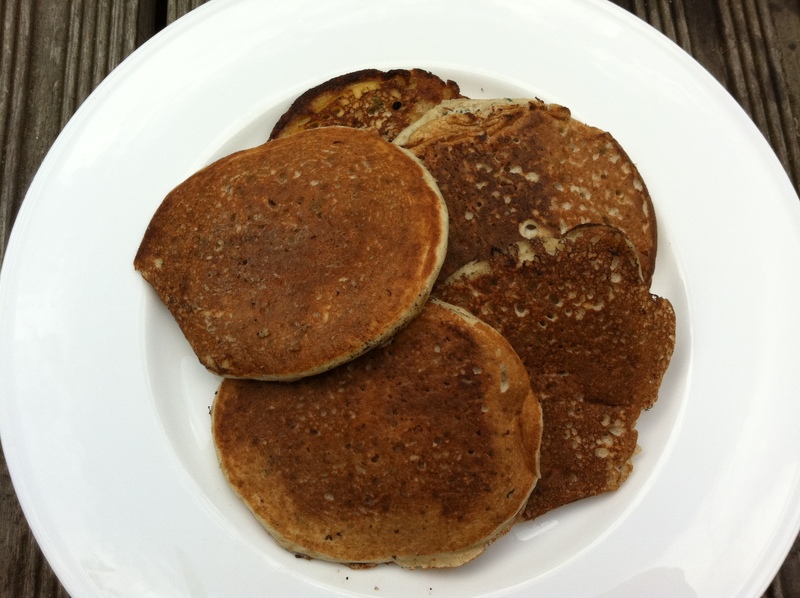 Those oat and buckwheat pancakes look delicious! I’m so boring I usually have the same thing for breakfast each day. In a way I find it calming to sit down and enjoy my cup of tea and toast. This a good change from the regular pancakes. YUMM!! Oh I love all those combinations for your pancakes, but that is one perfectly cooked egg! Love! I love how with every new picture there is yet another succulent topping on those lovely pancakes! Hehe great minds think alike! I also made some buckwheat pancakes last week 🙂 Yours look absolutely scrumptious! Yummy! 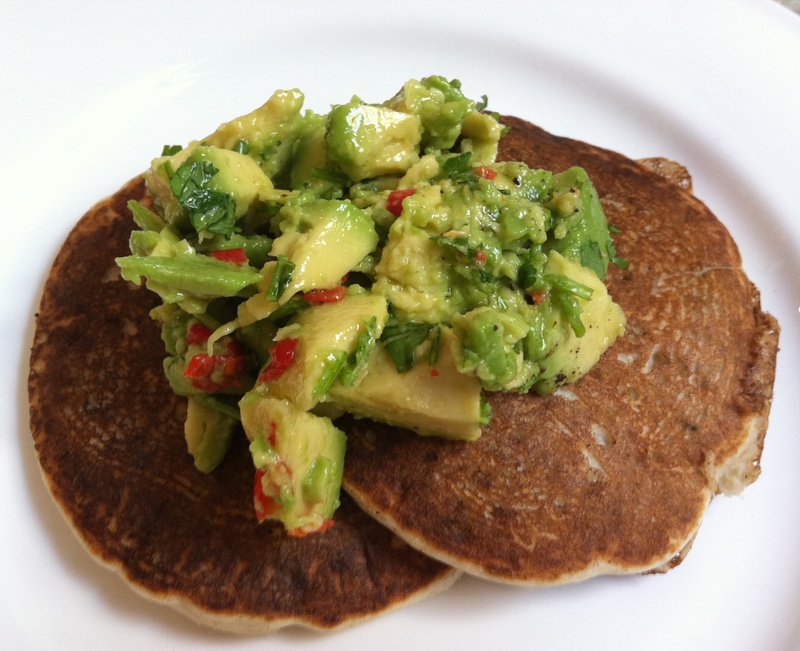 Love avocado and love pancakes. Great combo! The Twice Bitten – I definitely want to try a thinner galette version; can imagine the crispy edges would be especially delicious. Deliciuex – I’m pretty boring in the week too – lots of toast and cereal – but on weekends I love playing around with slightly more interesting flavours. Pencil Kitchen – avocado with anything! I absolutely love it, and think it makes perfect sense with these savoury pancakes. Quay Po – thank you! The Littlest Anchovy – that last one was for my boyfriend…breakfast isn’t breakfast for him without eggs in some form! 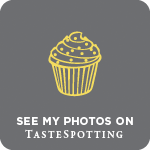 Nuts About Food – the pancakes are also delicious on their own with a little bit of butter, but agree, the toppings are one of the most exciting parts! I love buckwheat pancakes but usually slathered with Nutella and golden syrup! A savoury pancake makes a great breakfast though, these look great with the fried egg and smoked salmon. That looks like the breakfast of champions! blinis are lethal. 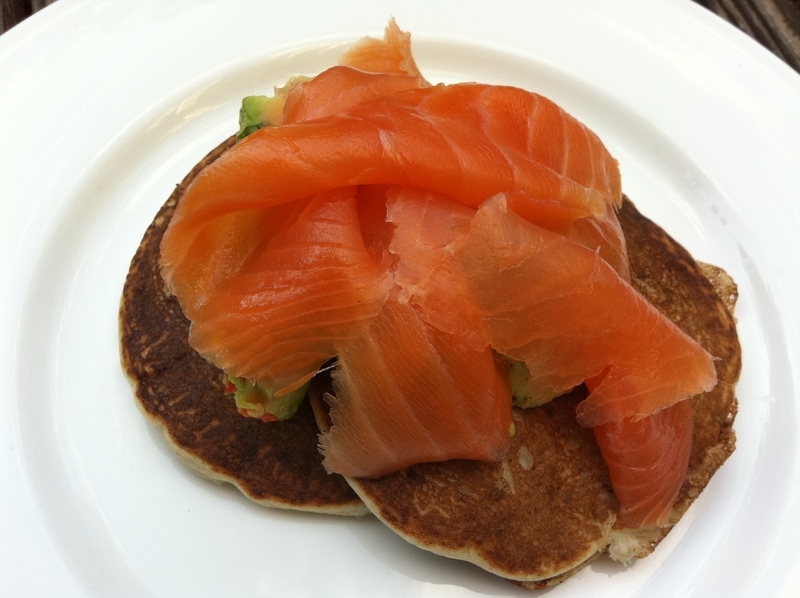 i had batter left over after making drinks party canapes and pretty much ate my bodyweight in blinis with smoked salmon and avocado for a hangover breakfast the next morning. heavenly! infuriatingly, my other half isn’t a fan, but that leaves all the more for me. I’m laughing b/c that quote is all too true! I do think what am I going to eat today when I wake up and it certainly is exciting to me to plan my days around my meals. Excellent post! I’ve bought buckwheat for the first time this year for a bit of experimentation. Although I’m probably going to have my offerings for dinner rather than breakfast, a poached egg sounds downright delicious on something so spongy! I have never been one for savoury pancakes (I love mine drowned in syrup or coated in jam) but I have to admit, I am now a changed person – you sold the concept to me with the first picture alone (and I am loving the idea of putting coriander in them). They all look amazing, and are definitely something I am going to try. And I have to ask…. do you have the recipe for the guacamole, and, if so, would you mind sharing it? I have yet to find a really great recipe, and that one looks delicious!